Video streaming is here to stay, but unfortunately, sometimes it's still much better in theory than in practice. Many, if not most of us, who choose to watch streamed movies on a TV rather than PC end up living with some pretty unpredictable experiences, to put it charitably. If you're one of those people that prefer to watch movies on your PC and have a good connection to good broadband, the streaming experience is usually pretty satisfying. For the rest of us, who would like to enjoy streaming movies on a TV connected via Wi-Fi to our home network, there are problems that can really kill the mood. In most real-world living rooms, those mean lost sync between picture and sound is common, as well as long pauses while the video stream re-buffers and picture quality that varies dramatically as you watch. Movie nights that you have to abort halfway through because you can't take any more interruptions are not uncommon. In many cases, the culprit behind all these problems isn't so much the internet as your Wi-Fi connection. And while most people don't know it, it's possible and even easy to improve your home's Wi-Fi performance, often dramatically. Better yet, you can do it for free. Wi-Fi works like a tiny radio station in your home. As you do when you listen to the radio, you want to receive the clearest possible broadcast of your wanted station, while experiencing the least interference from other stations. Unlike radio, however, Wi-Fi works in a very narrow frequency range, and depending on how many people around you are also using Wi-Fi, interference is inevitable. Bad Wi-Fi in your home can occur for any number of reasons. While most Wi-Fi routers can cover an average or bigger home with wireless signals, they're also subject to interference from other devices that work in Wi-Fi's narrow (and typical) 2.4 GHz frequency range. That includes cordless telephones, baby monitors, garage door openers and microwave ovens. It also includes, of course, all the different Wi-Fi devices you have in your house. Ironically, the worst interference could easily be coming from your neighbors and their Wi-Fi networks. This is especially true in multi-unit dwellings like condos, townhouses, and apartments, where perhaps dozens of other Wi-Fi networks are constantly operating nearby. You and your neighbor's Wi-Fi networks are separated by a password (and tiny differences in frequencies), but their Wi-Fi radio waves are on the same frequencies yours are. That's a Wi-Fi traffic jam. Most people think lousy Wi-Fi at home is something they just have to live with, like bad cell phone reception. Some of them go out and buy a "better" Wi-Fi router, which is never a bad thing, but for many homes, it's an unnecessary expense. Again, Wi-Fi works like a little radio station. It transmits signals on 11 usable "channels," appropriately named one through eleven. The most universally compatible Wi-Fi channel is channel 6, and the vast majority of Wi-Fi routers that you take home from the store (or get installed for you) come from the factory set to channel 6 as a default. That's already a problem. If everyone's Wi-Fi router is sending/receiving on channel 6, that channel is going to get pretty crowded pretty quickly. Some manufacturers actually pre-set their routers elsewhere at the factory, to channels 1 or 11 instead of 6, both of which are usually less crowded. 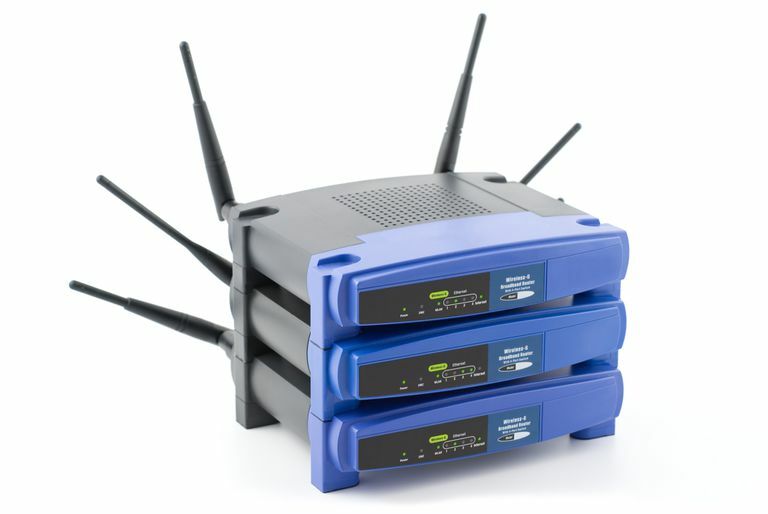 Other routers try to automatically search for and connect to the least crowded channel. That's fine in theory, but your neighbor's Wi-Fi router is likely doing the exact same thing. It's easy to see which Wi-Fi channels are the most crowded near your home, and on most Wi-Fi routers, it's easy to manually change the channel for better Wi-Fi reception and video streaming. The results of better-streamed video can be well beyond what you were experiencing before. And soup to nuts, this can all be done in just a few minutes. How many nearby Wi-Fi networks your own Wi-Fi system is "touching." How strong their signals are, compared to yours. What channels they're using (this is the important one). Once the Wi-Fi sniffer shows you which channels are crowded — count on #6, 1 and 11 being the most jammed — you can look for a relatively unused channel and switch your router to broadcast on it. If you bought your Wi-Fi router from a store and connected it yourself, you undoubtedly also received setup software for that router. It's what you used to create your Wi-Fi network's username and password. Obviously, each router company's products are different and use their own software, but it doesn't matter which brand you own, the concept remains the same. Go into the setup page for your Wi-Fi router. In most up to date models, you'll see a tab or menu item for Advanced Settings or some such label. Don't be intimidated going into this section even if the software may give you dire warnings not to (they don't like service calls if you mess up). While you'll see lots of scary numbers and acronyms on these pages, what you'll be looking for is actually pretty simple — the channel. If there's a drop-down menu such as shown in the picture, select the new channel you want to change to. If the current channel number is something you have to enter into a field, just type it to change it to your new channel. Save the changes and quit the setup software. Now you've set your Wi-Fi broadcaster (the router) to transmit at a clear new station that nobody else is using. So now you want to make sure that your Wi-Fi devices are now receiving on this new channel. Go around the house with your phone, laptop — anything that depends on Wi-Fi — and make sure you've got reception. In all likelihood, you won't just be getting reception, you'll be getting much better reception. Most Wi-Fi devices (phones, media servers, TVs, etc.) will automatically detect your new Wi-Fi channel, though some devices might ask you again for your password again, just for security's sake. And now that you're on a less-crowded channel, your performance will improve appreciably. With better Wi-Fi, your streaming video not only becomes watchable, but it also becomes enjoyable. And isn't that the point of all this?